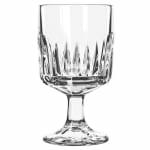 The Libbey 15465 all-purpose goblet is part of the Winchester series, which features a geometric pattern around the base of the bowl. The thick stem prevents the transfer of heat from hands to the drink inside. This goblet has a 101⁄2-ounce capacity, allowing you to serve generous portions of red or white wine, tea, and water. 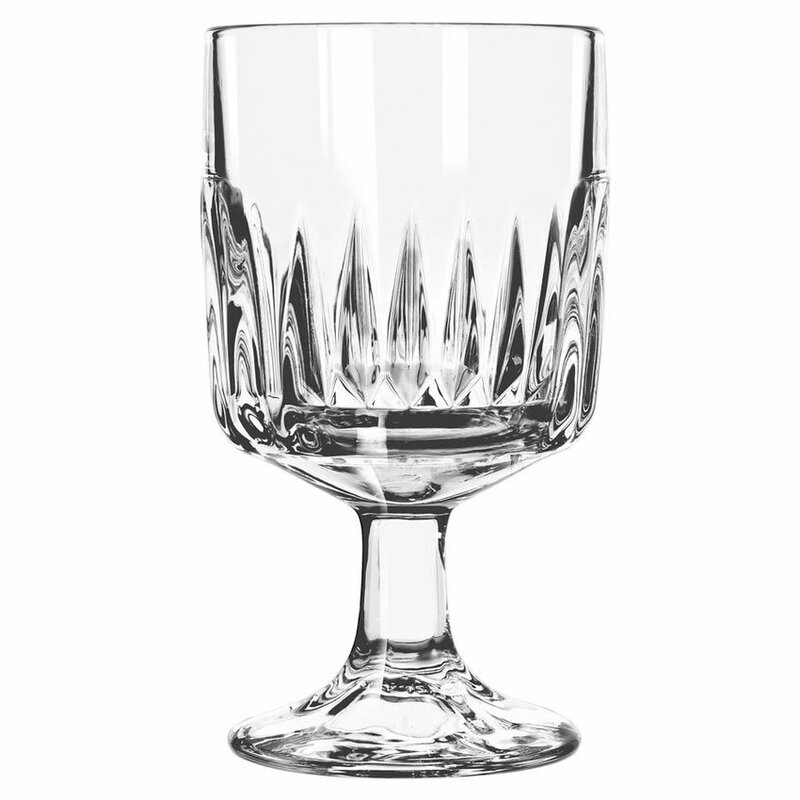 Pressed stemware like the Libbey 15465 glass goblet is treated with an exclusive process that makes the glass more durable. This DuraTuff treatment is applied to the upper third of the glass, where most breakage occurs, to help your glassware stand up to a hectic commercial environment. Overall Dimensions: 6 in. H x 33⁄8 in. max dia. x 31⁄4 in. top dia. x 27⁄8 in. bottom dia.